Liability car insurance covers any financial damages to other parties when your vehicle is involved in an accident where you were at fault. There are two types of liability auto insurance; Bodily Injury and Property Damage. Bodily injury liability pays for any expenses that result from the injuries sustained in the accident while property damage liability serves to compensate the other parties for damaged property. In most states, it is mandatory to have some form of liability coverage to ensure that drivers that cause accidents compensate the innocent party. Collision coverage pays for all repair costs to your own car if you were at fault in an accident. You may be the best driver on earth, but there’s always a chance that it will be ruled you were partially responsible for an accident even if you didn’t cause it. In such a case, collision coverage comes in handy to pay for repairs to your car. This covers any losses from things other than accidents, such as vandalism, floods, riots, fire, hail, theft, animal collision, among others. 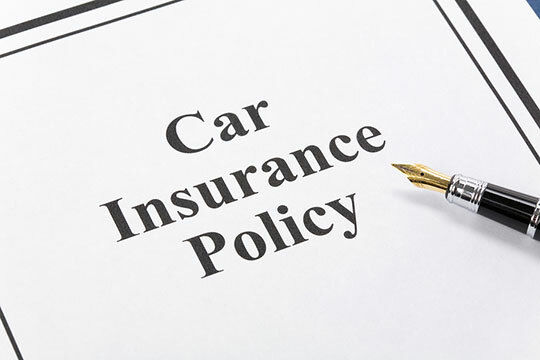 However, it is important to note that comprehensive insurance only covers automobile damages but not the loss of personal items such as laptops if they are stolen from the vehicle. There are still a lot of people driving around without any form of insurance coverage. Underinsured and Uninsured motorist coverage is meant to come into effect when you get into an accident with someone without insurance cover. Uninsured motorist coverage pays for injuries or damages sustained at the hands of uninsured drivers. Underinsured motorist coverage is used to fill the gap when the at-fault party’s insurance cover is insufficient to pay you for the damages. Accidents can result in terrible injuries which may be very expensive to treat. Medical payments coverage helps pay for all medical costs related to the covered accident, regardless of who is responsible for the accident. This is similar to Medical costs coverage but covers a wider range. It can pay for medical and rehabilitation costs, work loss, funeral expenses, and replacement services. In most states, it is a requirement to have a minimum level of personal injury protection coverage. Since cars have some of the highest depreciation rates, sometimes an insurance settlement may not be enough to pay for the cost of a loan. Gap insurance helps drivers cover any amount owed on a vehicle loan after a theft or total loss. This covers any expenses you incur for towing and other labor costs to repair your car after an accident. After an accident, you may not be able to use your vehicle for days, weeks, or even months depending on the time needed to repair it. This can be a terrible time especially if you rely on your car on a daily basis. Rental reimbursement coverage pays for a rental car to use as you wait for your car to get fixed.